These User Terms and Conditions are between GSX Limited, a registered company incorporated in Gibraltar with company number 108156 and registered address at 6A Queensway Rd, Gibraltar (GSX, we or us) and you, the individual using the Service (you or the User). GSX is authorised and regulated by the Gibraltar Financial Services Commission (FSC) under license number FSC1231B. Account means the account subscribed to by a Subscriber and which qualifies the Subscriber to access Subscriber Content. Account Application Form means the application form to register for an Account submitted by a User to GSX. Affiliate means any person that directly or indirectly through one or more intermediaries, controls, or is controlled by, or is under common control with, GSX. The term control (including the terms controls, controlled by and under common control with) means the possession, direct or indirect, of the power to direct or cause the direction of the management, policies or activities of a person, whether through ownership of securities, by contract or agency or otherwise. Collective Investment Scheme means any arrangement with respect to investments, the purpose or effect of which is to enable persons taking part in the arrangement, whether by becoming owners of the investments or any part of it or otherwise, to participate in or receive profits or income arising from the acquisition, holding, management or disposal of the investments or sums paid out of such profits or income. An arrangement (a) must be such that the participants do not have day to day control over the management of the investments subject to the arrangement, whether or not they have the right to be consulted or to give directions; and (b) must have at least one of the following characteristics (i) the contributions of the participants and the profits or income out of which payments are to be made to them are pooled, (ii) the investments are managed as a whole by or on behalf of the operator of the scheme. Content means all of the information and functionality made available through the Service, including the User Content and the Subscriber Content. Employer means the employer of a Subscriber where the Subscriber uses the Services in the course of such employment. Fund means a Collective Investment Scheme and/or a Sub-Fund. FSC means the Financial Services Commission and any replacement or equivalent authority fulfilling the regulatory functions of the Financial Services Commission, including if applicable equivalent or analogous regulators in foreign jurisdictions. GSX Parties means GSX, its Affiliates and any of their licensors or their employees, agents, officers or representatives. 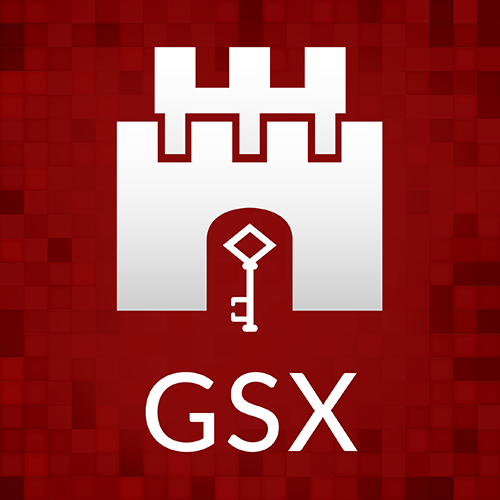 GSX Site means the GSX website https://gsx.gi as amended or replaced from time to time. Listed Fund means a Fund any of whose Units have been admitted to listing in the Official List of GSX. Official List means the Listed Funds on the GSX Site. Service means access to the Content provided on the GSX Site and any other services to which a Subscriber may subscribe and as described in a Service Document. Service Document means a description of a service provided by GSX, and which a Subscriber subscribes to, and referred to in the Account Application Form. Sub-Fund means a separate class or designation of Unit within a fund that invests in a separate pool or portfolio of investments. Subscriber means a User which has been granted access to the Subscriber Content in accordance with clause 2.3. Subscriber Content means the restricted elements of the GSX Site accessible to Subscribers and which allows a Subscriber to contact a Listed Fund. Unit means Collective Investment Scheme units issued by a Fund representing the rights of participants in the assets of such Fund. User Content means the unrestricted and free web-based services made available on the GSX Site, which allows Users to view a range of Listed Funds, and made accessible to Users. 1.2.2. a “clause”, unless the context otherwise requires, is a reference to a clause of these User Terms and Conditions. 1.3. The headings in these User Terms and Conditions shall not affect the interpretation of these User Terms and Conditions. 2.1.2. the Subscriber Content for Subscribers. 2.2. Your use of the Service is subject to and governed by these User Terms and Conditions. These User Terms and Conditions form a legally binding agreement between you and GSX in relation to your use of the Service. It is important that you take the time to read them carefully. The User Content is made publicly available, however if you do not agree to these User Terms and Conditions, you may not use any part of the Service. 2.3. A User may subscribe to the Subscriber Content by submitting the Account Application Form in accordance with clause 4 below. If the User is accepted by GSX in writing to be a Subscriber, and when a binding contract exists between us and such User for the provision of the Subscriber Content, such User shall be a Subscriber for the purposes of these User Terms and Conditions on and from the date of such acceptance. If GSX rejects a User’s Account Application Form (which it may do in its sole discretion) the User may not access the Subscriber Content. 2.4. We reserve the right to modify these User Terms and Conditions at any time without notice. In the event of any major changes we will notify you by displaying a notice on the homepage of the Service or by any other appropriate means including via email. Modifications and additions to the Service itself are also subject to these User Terms and Conditions. Your continued use of the Service after these User Terms and Conditions or the Service have been modified will constitute your acceptance of any change. 2.5. Please note that these User Terms and Conditions relate to the Service only, and that if you wish to use other products or services offered by GSX or its Affiliates, you may be required to enter into separate terms and conditions relating to such products and services. 3.1. You agree to use the Service only for lawful purposes and only in compliance with (i) all applicable local, national and international laws and regulations connected with the Service, (ii) these User Terms and Conditions, and (iii) any reasonable instructions, regulations and guidelines that GSX may issue within the Service or otherwise in relation to the Service from time to time. 3.2. GSX may in its sole discretion amend or remove any part of the Service at any time without liability. 3.3. Parts of the Service may be subject to legal protections and restrictions imposed by third parties, including Listed Funds, and you agree to comply with any such restrictions. You warrant and represent that you are not restricted by any applicable law or regulation from accessing or using the Service or any of the Content. 4.1. To access and use the Subscriber Content you will need an Account, for which you must submit an Account Application Form and have your Account Application Form accepted by GSX. You are responsible and liable for all activities conducted through your Account, regardless of who conducts those activities. 4.2.3. you agree that you and the Employer (if any) will have joint and several liability in relation to these User Terms and Conditions. 4.4.9. provide true, accurate, current and complete information (“Registration Data”) about yourself as prompted by the registration form and maintain and promptly update the Registration Data to keep it true, accurate, current and complete. 5.2. GSX may suspend or terminate your Account and any or all other Accounts held by you or other representatives of your Employer at any time in its sole discretion. GSX may also terminate these User Terms and Conditions at any time in its sole discretion. We reserve the right to refuse access to any part of the Service to any individual in our sole discretion. 5.3. Termination of these User Terms and Conditions, by you or by us, will automatically terminate your Account..
5.4. On the termination of these User Terms and Conditions the following clauses will continue in force despite such termination: clauses 3.3, 3.4, 7.1, 7.2, 7.5 and 9. GSX provides the Service to access the User Content and Subscriber Content free of charge. 7.1. GSX and its licensors reserve any and all rights in and to the Service except as expressly set out in these User Terms and Conditions. 7.2. GSX and its licensors own all intellectual property rights in and to the Service, including but not limited to the name of the Service, the Content, all information used to create the Content, and the logos, images and interface elements contained within the Service. 7.3.5. contact a Listed Fund for any reason other than in relation to obtaining information in relation to investments. In relation to each separate item of Content and subject to the terms of these User Terms and Conditions (including without limitation clause 3.4), GSX hereby grants you a limited, personal, non-exclusive, non-transferable, non-sublicensable, revocable, worldwide and royalty-free licence to view, use and (where technically permitted) save one copy of such Content for internal training and/or record keeping purposes only. Any use of the Content outside the scope of the licences granted under this clause 7.4 shall, without prejudice to any other rights or remedies available to GSX, constitute a material breach of these User Terms and Conditions. If you breach your obligations under these User Terms and Conditions, close your Account or this Agreement terminates, all licences granted to you under these User Terms and Conditions will automatically terminate. 8.1. We do not guarantee that the Service will be available at all times and there will be times when the Service will be interrupted for maintenance, upgrades or repairs or due to failure of services or equipment. We reserve the right to modify, suspend or discontinue all or part of the Service at any time with or without notice. 8.2. GSX shall not be liable for the loss of any User information generated in the course of using the Service (such as information concerning Listed Funds and your contact details) and we strongly recommend that you back up any such information and you acknowledge and accept that you shall not rely on GSX for continuous access to, or the storage or integrity of, such information. 8.3. You agree that we are not liable or responsible to you for any delay, interruption, unavailability or discontinuance of the Service. 9.1.1. The Service is provided “as is” and “as available” and GSX expressly disclaims and excludes all representations or warranties of any kind, either express or implied, to the maximum extent permitted by applicable law in relation to any aspect of the Service. In particular and without limitation, we do not warrant that any aspect of the Service will be fit for a particular purpose or will be true, complete or accurate. You assume sole responsibility and risk for your use of any aspect of the Service. 9.1.2. The Service contains information which has been gathered from third party sources. The Service may contain links to other websites which are not under the control of GSX and GSX shall not be responsible for the contents of any such linked website, or any changes or updates to such websites. GSX displays third party information and links to third party websites solely for informational purposes and shall not be construed as an endorsement by GSX of such third party information or third party websites. 9.1.3. Trading in financial instruments is inherently risky and you agree to bear the entire responsibility for the outcomes of all trading decisions that you make. The Services provided are for information purposes only, and shall not be construed as an offer to buy or sell securities and or other financial instruments, nor advice in relation to trading in financial instruments. 9.1.4. The Content is provided for information purposes only and does not constitute a solicitation or offer, or advice or recommendation, to buy or sell interests in any Listed Fund, to effect any transactions, or to conclude any transaction of any kind whatsoever. 9.1.5. We are not a qualified financial advisor and you should not construe, or rely upon, any information contained in the Service as investment advice. The Service is solely informational in nature. 9.1.6. You should consult a qualified broker or other financial advisor prior to making any investment or trading decisions. You agree to not carry out any transactions based on the Service. 9.2.1. Nothing in these User Terms and Conditions shall operate to exclude or limit the GSX Parties’ liability: (i) for death or personal injury caused by the negligence of GSX or its employees or agents while acting in the course of their engagement by GSX; or (ii) for fraud; or (iii) to the extent that such exclusion or limitation is not permissible under applicable law. l) indirect or consequential loss or damage of any kind. 9.2.3. Subject to clauses 9.2.1 and 9.2.2, the GSX Parties’ total aggregate liability arising out of or in connection with these User Terms and Conditions, whether in contract, tort (including negligence), breach of statutory duty, or otherwise, shall be zero and Users’ sole remedy for dissatisfaction with the Service is to stop using the Service. 9.2.4. None of the GSX Parties take any responsibility for any consequences of you using any aspect of any Service to trade (or to refrain from trading) in a live environment in any marketplace or transactional facility (whether provided by GSX or by any third party, including the Listed Funds). 9.2.5. You expressly acknowledge and agree that the restrictions on the liability of the GSX Parties under these User Terms and Conditions (including as to the disclaiming of any warranties) are reasonable. You agree, at your own expense, to indemnify, defend, and hold harmless the GSX Parties against any and all losses, whether in contract, tort (including negligence), breach of statutory duty, or otherwise, related to your use of or access to the Subscriber Content, or violation of these User Terms and Conditions by you or by any unauthorised party using your Account. If any paragraph (or part of a paragraph) in these User Terms and Conditions is determined to be invalid or unenforceable by any court or administrative body of competent jurisdiction, the parties agree that the court should endeavour to give effect to the parties’ intentions as reflected in the paragraph, and the validity and enforceability of the rest of the Agreement will not be affected. If either party fails to enforce any right reserved by it in these User Terms and Conditions, that failure will not constitute a waiver of said right. These User Terms and Conditions are governed by and construed in accordance with the laws of Gibraltar without regard to the choice or conflicts of law provisions of any jurisdiction, and the courts of Gibraltar have exclusive jurisdiction, provided that GSX may seek injunctive relief in any jurisdiction in order to enforce its rights under these User Terms and Conditions. You agree not to bring claims on a representative or class member basis. These User Terms and Conditions represent the entire understanding between you and us in respect of your relationship with GSX as a User of the Service. It supersedes any previous agreements between you and us including previous revisions of these User Terms and Conditions. You agree that regardless of any statute or law to the contrary, any claim or cause of action arising out of or related to use of the Service or these User Terms and Conditions must be filed within one (1) year after such claim or cause of action arose or be forever barred.